WINSTAR Speaker 2.0, RMS 1W*2, USB2.0, WS-SP-2019, black	146,00 ден. 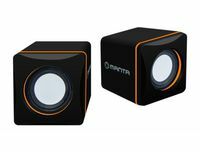 2150 2.0 black/silver(USB), w/ volume control and power switch, Power: 2 x 2W, Impendance: 2x4, Input jack: 3.5mm, Frequency: 100Hz-20KHz	218,00 ден. 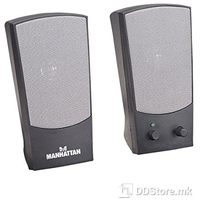 Winstar Speaker 2.0, 2.5W x 2, Black	227,00 ден. 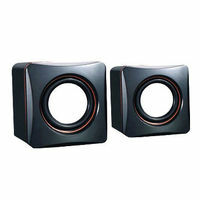 LOGIC 2.0 Speakers LS-09, Color: Black, Output power: 3W x 2, Interface: 3.5 mm audio jack, Power Voltage: USB	257,00 ден. LOGIC 2.0 Speakers LS-09, Color: White, Output power: 3W x 2, Interface: 3.5 mm audio jack, Power Voltage: USB	257,00 ден. LOGIC 2.0 Speakers LS-09, Color: Blue, Output power: 3W x 2, Interface: 3.5 mm audio jack, Power Voltage: USB	257,00 ден.